A theological issue of great importance in feminist interpretation that was not addressed by the translators of the NRSV is the problem of language about God. All pronouns referring to God in that translation are masculine singular. The explanation given is that these pronouns (or verb endings, as pronouns are often conveyed in Hebrew) are found in the original languages and that therefore the translation is accurate. In both Greek and Hebrew, however, all nouns have grammatical gender, which governs the gender of pronouns used to refer to the nouns. In that sense, those languages are like such modern languages as Spanish, where, for example, “table” (la mesa) is a feminine noun, requiring a feminine pronoun (ella, “she”). If one were translating from Spanish to English, however, where pronouns convey biological and not merely grammatical gender, the pronoun that refers to “table” would be translated with the neuter “it.” The same freedom prevails in rendering pronouns from Greek or Hebrew. Thus, the decision about which pronouns to use for God is one that cannot be made on grammatical grounds alone. It is a theological decision, and one whose resolution affects the way one views God. An interpretive decision that many women make is not to use any pronouns to refer to God (simply to repeat the word “God” or to use the unvocalized “G-d”), thus conveying the theological affirmation that God is beyond human categories of gender. Two contemporary Bible versions exceed all other gender-inclusive Bibles by employing that very strategy. The most well-known version, The Inclusive Bible by Priests for Equality, judiciously avoids divine masculine pronouns, usually by rendering the text in such a way as to make pronouns unnecessary. A less elegant but more precise approach is taken by An Inclusive Version: The New Testament and Psalms, a lightly revised version of the New Revised Standard Version which replaces divine pronouns with the word “God” or “Christ.” Of course there are other problems these versions have to address, such as the use of the word “Father,” which they manage with different strategies. The Inclusive Bible uses the awkward phrase “Abba God” and An Inclusive Version often replaces “Father” with “God,” although in texts where “Father” and “Son” language is more ubiquitous, particularly in John’s Gospel, it pursues the more bold strategy of using the term “Father-Mother” to balance out gendered language. However, while mitigating the impact of divine masculine language, these versions don’t move very far toward balancing out gendered divine language with divine feminine terms. The term “Father-Mother” is a notable exception, providing more balance (although awkwardly; one of those terms has to come first in the phrase, and why should it be “Father” instead of “Mother”?). Another notable exception in The Inclusive Bible involves the pronouns for the Holy Spirit, which is consistently described as “she” rather than “he.” But for the most part God remains gender-neutral. Another problem we may note about the approach of these gender-neutral Bible versions is that although they may be considered gender-inclusive, they could just as well be regarded, at least to some degree, as gender-exclusive. That is, rather than include feminine-gendered language alongside masculine-gendered language in an effort to find balance and inclusion, they simply eliminate gender altogether. “Fathers” and “mothers” often become just “parents” and “sons” and “daughters” just “children.” In An Inclusive Version, Jesus is often inelegantly “the child of God.” But people aren’t just parents or children or people; they’re women, men, transgendered; people have gendered identities which need to be affirmed and supported. Why not reflect that diversity in the text of scripture, including texts with divine pronouns? 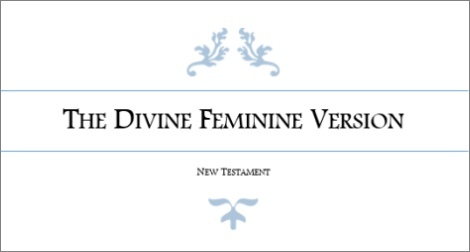 Because of all those concerns, but particularly because of our need to be nourished by gender-inclusive divine language and the healing love of the divine Mother, four other editors and I collaborated to engage in what we regarded as an essential project, the development of the first-ever Divine Feminine Version of the New Testament. Divine feminine translations of scripture aren’t new; our work was preceded by divine feminine versions of the Book of Psalms, Marchiene Vroon Rienstra’s Swallow’s Nest and Dr. Laura M. Grimes’ Sophia’s Psalter, a more literal divine feminine version. As a pro-feminist man and aspiring feminist ally, I worked together with the feminist scholars Rev. Shawna R.B. Atteberry and Dr. Grimes, among others, to reimagine the entire New Testament text in a way that builds upon the feminist theological vision of scholars like Elizabeth Johnson. Imagine a New Testament which doesn’t just use words like “Abba God” or “Father-Mother” (or more usually, just “God”), but words like “Mother”? What would our encounter with scripture be like? How might that nourish us and impact our spiritual lives? Those are the questions that drove us as we worked from one end of the New Testament to the other. Of course we were confronted with innumerable problems and questions as we worked through the text. We understood that our task had to be about more than simply swapping out a few words and changing some pronouns. We carefully and painstakingly reviewed each text, following the United Bible Society’s Fourth Corrected Edition of the Greek New Testament. We wrestled constantly over the best strategies to deal with patriarchalism, anti-semitism, ableism, homophobia, and other social concerns. The Inclusive Bible and An Inclusive Version both provided considerable guidance and inspiration for many of our strategies, but often we felt we had to find our own way. As you may imagine, at times we found that certain texts were so inherently problematic that all we could do was blunt the impact somewhat in our word choice. I’m sure time will tell how effective our editorial strategies were. We engaged in a lot of experimentation. I have no doubt that some of our strategies will ultimately be found wanting, while others, I hope, may inspire continued reflection on ways in which scripture may be reimagined in order to consistently provide increasing affirmation rather than affliction. Before outlining some of our editorial strategies, I should note that we made the Divine Feminine Version publicly available on the internet under a Creative Commons copyright. So not only is the entire text available free of charge in both PDF and Word format, it’s also available to be edited and altered for free use by anyone and everyone. So anyone interested in the idea of a divine feminine version of scripture who nevertheless finds one or more of our editorial choices to be lacking is free to download the Word version and change the text as much as they like. You can find it all on-line, along with supporting essays and detailed descriptions of our deliberations, at godde.wordpress.org. All things were made through her. Without her nothing was made that has been made. And the life was the light of women and men. Feminist hermeneutics has blazed a trail showing how the gospel story of Jesus resists being used to justify patriarchal dominance in any form. His preaching about the reign of God and his inclusive life-style lived and breathed the opposite, creating a challenge that brought down on his head the wrath of religious and civil authority. They crucified him, but Sophia-God receives that death and transforms it to life. When the story of Jesus is told in this way, a certain appropriateness accrues to the historical fact that he was a male human being. If in a patriarchal culture a woman had preached compassionate love and enacted a style of authority that serves, she would most certainly have been greeted with a colossal shrug. Is this not what women are supposed to do by nature? But from a social position of male privilege Jesus preached and acted this way, and herein lies the summons. Above all, the cross is raised as a challenge to the natural rightness of male dominating rule. The crucified Jesus embodies the exact opposite of the patriarchal ideal of the powerful man, and shows the steep price to be paid in the struggle for liberation. The cross thus stands as a poignant symbol of the “kenosis of patriarchy,” the self-emptying of male dominating power in favor of the new humanity of compassionate service and mutual empowerment. On this reading Jesus’ maleness is prophecy announcing the end of patriarchy, at least as divinely ordained. An even more difficult question we faced was how to render the word “Lord.” At least one commenter on our weblog suggested the alternate word “Sovereign,” which was also the strategy of An Inclusive Version, but we didn’t find such impersonal and imperial language to be much more appealing. We finally decided to leave the word “Lord” when referring to Jesus and to use the word “Lady” when referring to the Mother. 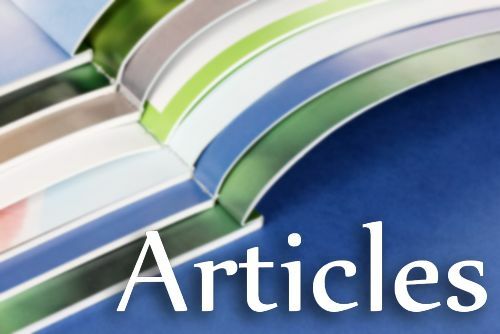 Though that editorial choice didn’t expunge the concept of royalty, and though some were initially uncomfortable with “Lady,” the fact that language of “Ladies” and “Lords” has some resonance among neopagans, and the fact that at least it preserved a balance of gendered language, made the choice palatable for us, even though the choice was far from perfect. It also presented more of a challenge when we encountered texts in which it wasn’t clear whether the word kyrios was used of Godde or of Jesus, but the policy we ended up adopting was to use the word “Lady” when the subject was uncertain. At times our team was divided. One of the more notable disagreements involved our approach to the word doulos. 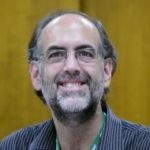 We were evenly split between “slave” and “servant.” That was one we were unable to resolve, so we ended up splitting the difference and agreeing to “bondservant” as something stronger than just “servant” but not as strong as “slave.” However, we found strong consensus more often than not. One strategy that we consistently pursued was reinserting matriarchs back into the narrative by simply inserting their names alongside those of patriarchs, irrespective of whether their names appeared in the text. So for example in Matthew 1:1 (and elsewhere) we don’t just read that Jesus was the son of David, but that Jesus was the son of Bathsheba and David; and not just that Jesus was the son of Abraham, but the son of Sarah and Abraham. In the genealogy of Matthew 1:1-17 we inserted every matriarch and queen whose name we could locate in the Tanakh. Women are named much more frequently in the Divine Feminine Version. Another of our consistent strategies was to avoid religious jargon in favor of terms that we hoped would bring out the fuller meaning of the text. For example we never used the word “righteousness,” using instead “justice,” which both brought out a more textured meaning of the term and emphasized its continuity with the word “justify.” We used “wrongdoing” or “offence” instead of “sin,” “change” instead of just “repent,” and perhaps most significantly, “trust” instead of “faith.” That suggestion also came from Julie, who early on pointed us to the work of Art Dewey and the Westar Institute in their work on The Authentic Letters of Paul. We also avoided the word “church,” using “community” instead, and used “Torah” instead of “Law” for nomos. We experimented with many strategies. We considered not only strategies for re-envisioning the texts of the canon, we discussed the shape of it too. We agreed early on not to revise the order of the books of the New Testament. But what about additional texts? Shawna and Laura agreed to the Gospels of Thomas and Mary, but not right alongside the canonical four. Personally I would have been comfortable placing Thomas between Luke and John as a bridge between the parable-laden Synoptic Gospels and the more discourse-laden Gospel of John, and placing Mary between the Gospel of John and the Book of Acts as a Gospel whose setting is post-resurrection. But the other editors preferred them in an appendix, which is where we placed them, so the Divine Feminine Version contains the canonical 27 texts plus two additional Gospels in the appendix. Interested readers will doubtless notice many other rhetorical strategies. Though you may find some of them not to be compelling, hopefully you will find others liberating and refreshing. We cannot pretend that our interpretative choices were the only reasonable choices or even the best possible choices; undoubtedly many strategies are desirable, especially given the great diversity of readers of the New Testament. Doubtless no one size will fit all. But hopefully this work will provide some comfort, relief, and affirmation for many who yearn for a better biblical approach to gender and language, among other things.